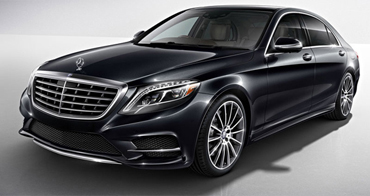 Mercedes S Class is a symbol of luxury. It sets the standards high with its reputation and a perfect choice for any occasion. Just sit back and enjoy a splendid ride. A truly stylish and luxurious limousine for amazing journeys. 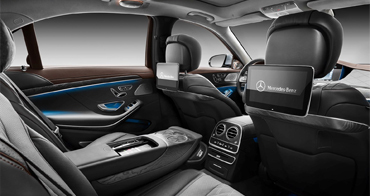 Our Mercedes Benz S Class cabs are the first choice for our customers who are either travelling to the airport or coming back from a hectic journey. Our chauffeur driven luxury cars are both safe and stylish. When you book a luxury cab from GB Chauffers, you get the treatment of royalty and elegance. You can use our Mercedes S Class as a wedding car where the bride or groom can make an entrance in elegant style.